A dugout canoe is a great mode of transportation to travel on in rougher waters, but to the Indigenous people, it is also a way of re-connecting themselves to their heritage. When European settlers contacted Indigenous populations, they almost lost many of their traditional arts and practices, including carving. Today, as Indigenous people reclaim their culture, the art and practice of making a dugout canoe and carrying out their traditional canoe trips are helping elders and youth connect to their land and ancestors. The dugout canoe (back) along with several two-person canoes are set up for the 10-day trip down the Yukon River. The trip began July 19, 2018. 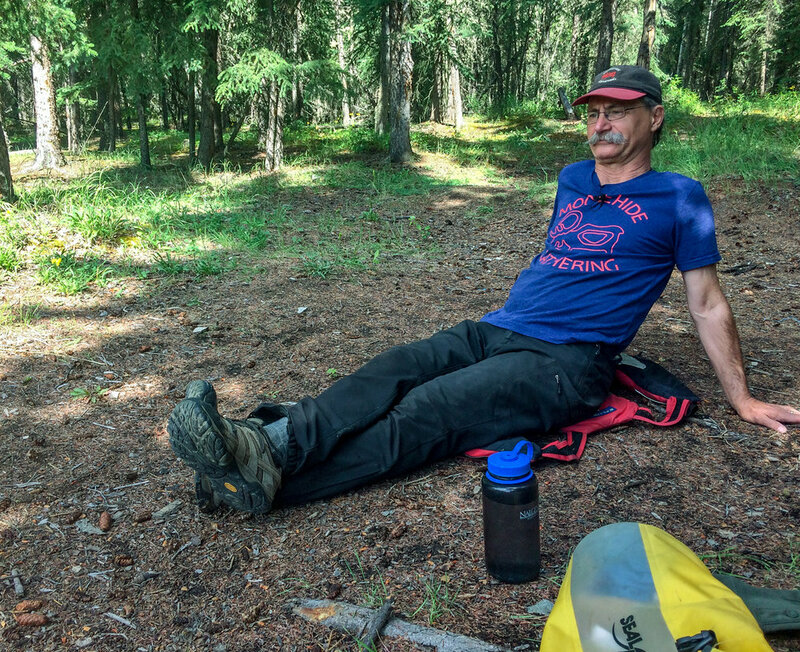 David Neufeld sits at a camp along the Yukon River. He tells many stories about the Yukon River, storytelling and the traveller. 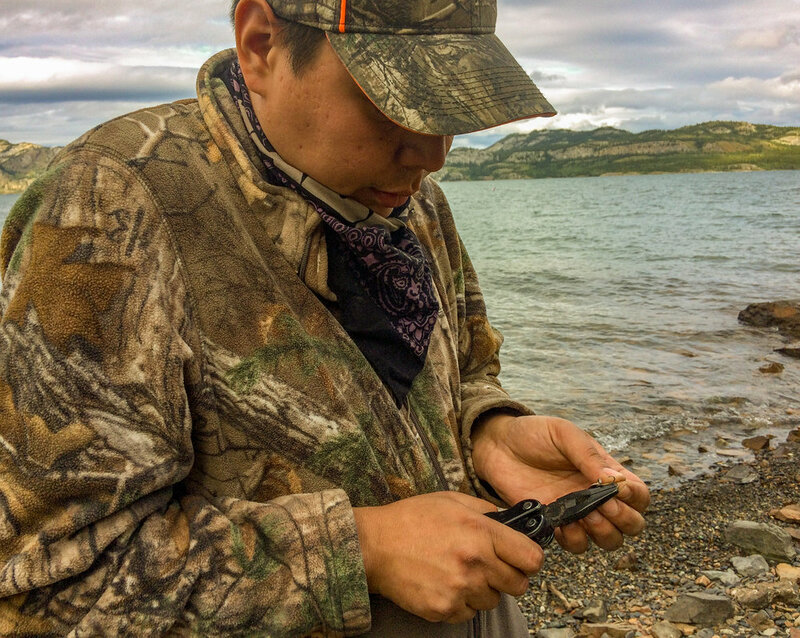 Ralph Hoversland from the Teslin Tlingit Council is allergic to animal fur, so he participates in fishing and camping instead during the River Nation canoe trip. He is fixing the angler before he fishes on one of the islands where the participants are taking a break. 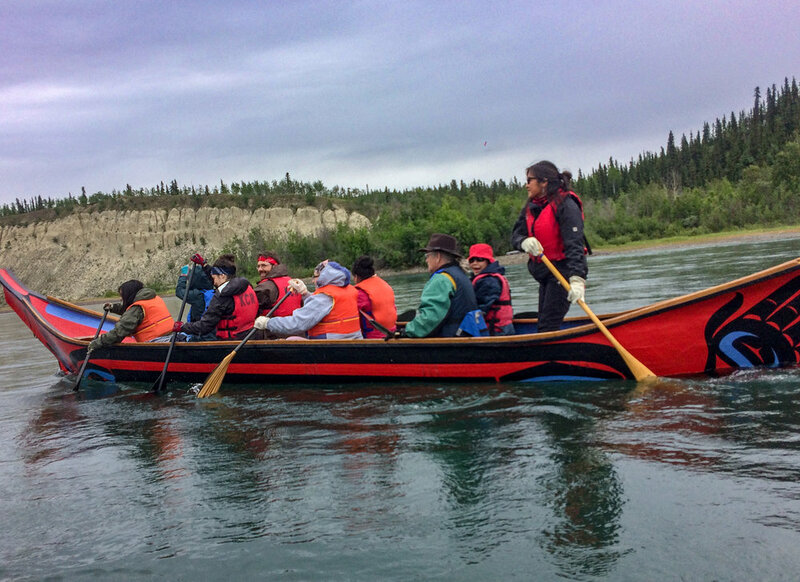 Indigenous and non-Indigenous youth and elders paddle down the Yukon River during the River Nation trip. The First Nations communities worked together to build water vessels to carry themselves and their supplies for generations. During these trips, elders would tell stories about their ancestors and share teachings on how to survive and respect the land. Jasmine Bill, one of the participants on the River Nation trip, is looking forward to arriving at Moosehide and eating some fresh salmon. She says it's important to learn skills from one another. Jasmine has learned some skills herself, such as making her own wolf and rabbit snares and has even made her own knife. Duran Henry, who has been carving for 12 years, says he usually makes paddles, plaques, panels, bowls, spoons and totem models. He was one of 19 students to learn to make a dugout canoe by master carver Wayne Price.